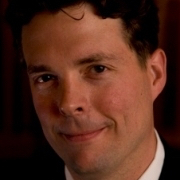 Andrew Clark is the Director of Choral Activities and Senior Lecturer on Music at Harvard University. He serves as the Music Director and Conductor of the Harvard Glee Club, the Radcliffe Choral Society, and the Harvard–Radcliffe Collegium Musicum, and teaches courses in conducting, choral literature, and music theory in the Department of Music. Since arriving to Harvard in 2010, Clark has conducted the Harvard Glee Club in performances at Carnegie Hall and the Kennedy Center and helped develop the Archibald T. Davison Fellowship Program, a community partnership with the Ashmont Boys Choir in Dorchester. Under his direction, the Radcliffe Choral Society won the Grand Prize and two gold prizes at the International Competition for Chamber Choirs at Petrinja, Croatia in 2012. His performances with the Collegium Musicum of Handel’s Israel in Egypt and Rachmaninoff’sVespers received critical acclaim, as did their 2012 debut with the Boston Modern Orchestra Project performing Arvo Pärt’s St. John Passion in Jordan Hall. Professor Clark developed several Harvard residencies with distinguished conductors, composers, and ensembles, including Harry Christophers, Maria Guinand, Sweet Honey in the Rock, and others. In 2011, he conducted the Boston premiere of John Adams’s Pulitzer Prize–winning On the Transmigration of Souls with the composer present. His first studio recording with the Holden Choruses, featuring the choral music of Ross Lee Finney, will be released in 2013. Prior to his appointment at Harvard, Clark was Artistic Director of the Providence Singers, and served as Director of Choral Activities at Tufts University for seven years. He previously held conducting posts with the Worcester Chorus, Opera Boston, Clark University, the Boston Pops Esplanade Chorus, and the Mendelssohn Choir of Pittsburgh, the chorus of the Pittsburgh Symphony. He has commissioned numerous composers and conducted important contemporary and rarely heard pieces as well as regular performances of choral-orchestral masterworks. His choirs have been hailed as ‘first rate’ (Boston Globe), ‘cohesive and exciting’ (Opera News), and ‘beautifully blended’ (Providence Journal), achieving performances of ‘passion, conviction, adrenalin, [and] coherence’ (Worcester Telegram). He has collaborated with the Pittsburgh and New Haven Symphonies, the Rhode Island Philharmonic, Boston Philharmonic, Trinity Wall Street Choir, Stephen Sondheim, Dave Brubeck, and others. Clark earned degrees from Boston University, Wake Forest, and Carnegie Mellon Universities. His principal teachers include Ann Howard Jones, David Hoose, and Grammy-award winning conductor Robert Page. He lives in Medford, MA, with his wife Amy Peters Clark, and their daughters, Amelia Grace and Eliza Jane.